1. From the home screen click ‘go to log’. 2. 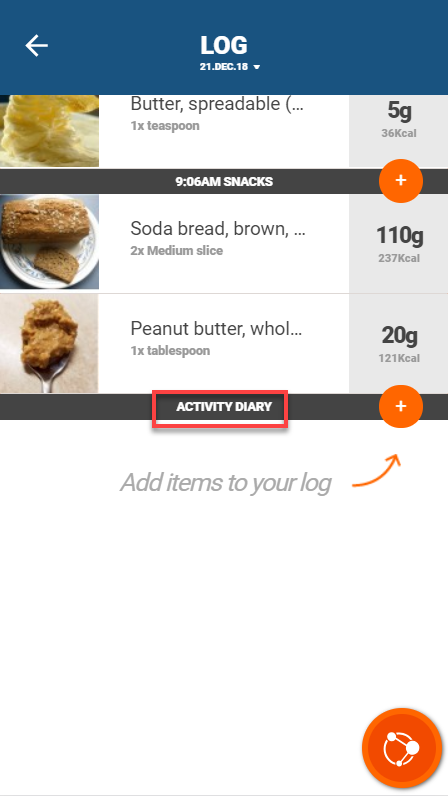 Scroll to the ‘activity diary’ section at the bottom of log. 3. 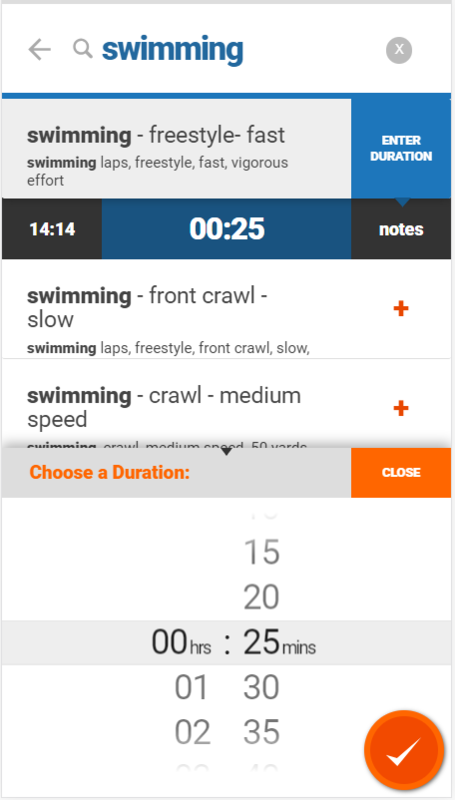 Select the orange plus button to add an activity . 4. Enter a keyword to search for activity or choose from recent activities. 5. Add activity by clicking the orange plus button . 6. Click on ‘Select duration’ and scroll through the hours and minutes to set the activity duration. 7. Add the time the activity was performed and any additional notes. 8. Save your activity by selecting the orange tick .